The Great Northwest Athletic Conference men’s basketball tournament returns to Saint Martin’s for the second straight year beginning on Thursday, March 7th, continuing with the semifinals on Friday, March 8th and wrapping up with the championship game on Saturday, March 9th. Western Washington and Seattle Pacific enter the tournament ranked #2 and #3 in the nation and are the clear favorites. The two Alaska schools are the third and fourth seeds and the defending GNAC tournament champions enter the postseason as the same seed they were last year. GNAC leading scorer and newcomer of the year Mark McLaughlin and Central Washington round it out as the sixth seed. 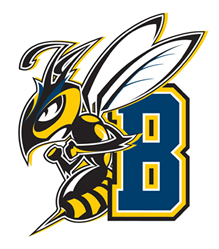 All eight games will be webcast on GNACSports.com with me, Brandon Sparks, providing color commentary alongside Montana State Billings’ Jeff Rosenberry. The championship game will air on Root Sports. Defending national champions? Yes. Defending GNAC champions? Nope. Western Washington fell to Montana State Billings in the second round of the 2012 tournament but have lost just one non-exhibition game since then, a 77-73 loss to Alaska in Fairbanks. The Vikings finished the regular season at 26-1, 17-1 in the GNAC and ranked #2 in the nation. Senior guard John Allen was named player of the year earlier this week and all five starters were named all-conference. Black Hills alum and former SPSCC forward Anye Turner comes off the bench for the Vikings scoring 3.9 points per game this season. The Falcons enter the conference tournament ranked #3 in the nation with just three losses this season including a pair of defeats at the hands of #2 Western Washington. The Falcons are incredibly balanced featuring four starters – Jobi Wall, David Downs, Andy Poling and Patrick Simon – scoring in double digits and the fifth starter, Riley Stockton, was named defensive player of the year. Olympia alum Alex Weber-Brader played in 22 games in his redshirt freshman season scoring 2.4 points per game in just seven minutes per game. I’m not sure what to think of the Seawolves. On one hand, they beat two Division I teams at the Great Alaska Shootout but they also lost to Saint Martin’s in Lacey, Northwest Nazarene in Nampa and Central Washington in Ellensburg, the last two losses coming when they were ranked 25th in the nation. Perhaps they don’t like the warm weather? Five of their losses came on the road while their only home losses came to a DI school, Western Washington and Seattle Pacific. They don’t do anything particularly outstanding other than holding their opponents to 68.7 points per game, tied for second in the conference. They are a guard led team behind Kyle Fossman and Teancum Stafford with a solid 6-10 big man in Australian Liam Gibcus doing the work down low. Led by GNAC co-coach of the year Mike Durham, the Nanooks had one of the biggest turnarounds in all of Division II this season and pulled off the biggest upset of the year when they ended Western Washington’s 30 game winning streak. UAF went just 5-23 and finished dead last in the GNAC last season but ended this regular season at 15-11, their first winning season in six years. Senior guard Dominique Brinson and 6’11, 265 pound Serbian man mountain Sergej Pucar were named second team all-GNAC and Pat Voeut led the conference in assists with 5.3 per game. The defending GNAC tournament champion Yellowjackets have one stud, Jarrell Crayton, and a balanced group of players to complement him including guards Omar McDade and David Arnold. But MSUB has had to juggle their lineup often this season starting 10 different players at some point. Crayton was the only ‘Jacket to start every game. 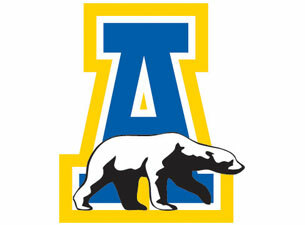 They struggled on their last road trip of the season barely beating Western Oregon in overtime in Monmouth and falling to Saint Martin’s in Lacey but handled Alaska Fairbanks and nearly beat Alaska Anchorage in their home finales. The Tacoma Titans Wildcats have the league’s most dynamic and interesting player in Mark McLaughlin but beyond that, Central is offensively challenged with just Jordan Coby scoring in double digits this season. Eight of their 11 players are transfers from Tacoma Community College and just one of their players, Joey Roppo, comes to Ellensburg straight out of high school. They were second in the GNAC in rebounds pulling down 38.5 per game but their opponents also pulled down 37.9 per game giving them a 0.6 rebounding margin that was only good enough for sixth in conference. 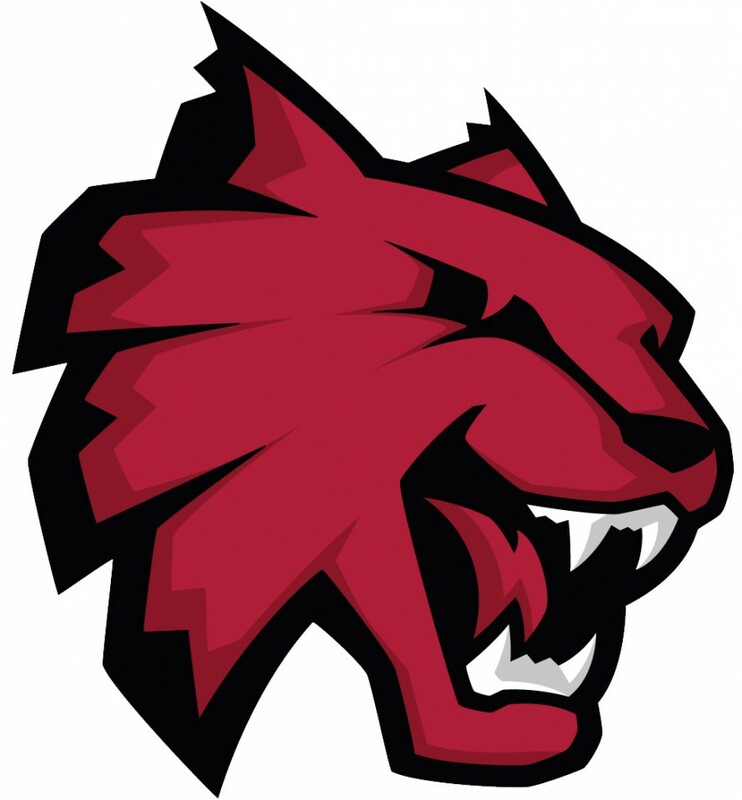 The Wildcats were atrocious down the stretch losing five of their last six games including a 100-69 spanking by Northwest Nazarene and an 82-71 loss to Saint Martin’s in the regular season finale. Considering how much they struggled down the stretch, I have a hard time picking Central Washington to beat Alaska Anchorage in the first round, though it all depends on Mark McLaughlin and whether or not he can get any support offensively. Meanwhile, MSU Billings is tournament tested having won this thing last year but I think it might be Alaska Fairbanks year setting up a rematch with Western Washington in the semis. Like the women’s tournament, I don’t expect either of the top two seeds to lose in the second round. Western Washington and Seattle Pacific are just so much more complete than either of the two teams that I think will advance from the first round and both the Falcons and Vikings will easily advance to the final. The final will be an instant classic and will come down to one final shot. Posted on March 6, 2013, in Basketball, College. Bookmark the permalink. Leave a comment.